Elizabeth Meyer started her violin studies at age 9. Her Suzuki instruction with Stephanie Price in Palo Alto, California began a year later. For the next eight years Elizabeth studied with Stephanie. After earning her Bachelor of Arts degree from the University of California, Santa Barbara she studied cello and played with the UC Davis Symphony Orchestra. Elizabeth came back to the violin after her children were born. She studied with Mary Catherine Edwards in Evanston, Illinois and performed with the Lake Forest College Orchestra for six years. 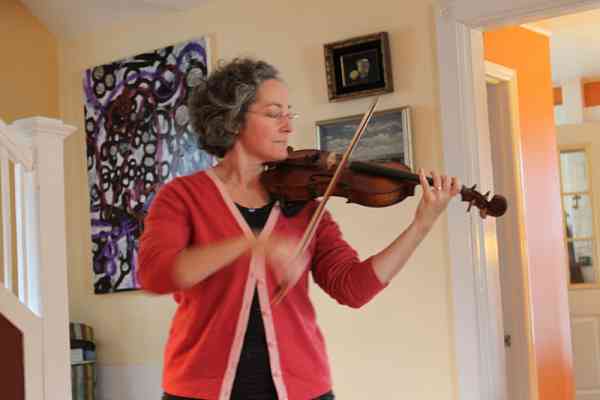 She is currently playing with a folk band in Lake Forest and is teaching in her home studio.